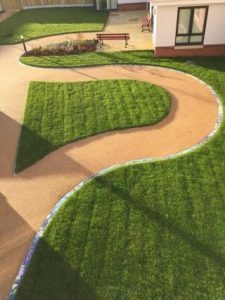 This case study aims to provide an insight into the Designs in Mind (DM) project, their evaluative methods and the wellbeing related outcomes for members. DM is a studio of designer makers referred through mental health services. Located in Oswestry, Shropshire, UK, DM work as a collective to create high-quality ambitious and experimental art & design work, which makes it possible for people who have experienced mental health challenges, to live life and have a greater sense of wellbeing. DM establishes all referrals as ‘members’ – creating a peer group and a supportive environment with working as a team at its core. Through the creation of commissions to transform public and private spaces, and designing and making products for retail, members are creatively challenged and work with purpose, building their self-worth and discovering new aspirations for the future. Members are referred through mental health services – many struggling with experiences of attempting suicide, living with suicidal thoughts alongside depression, psychosis, schizophrenia, stress, anxiety, social phobia or bi-polar. 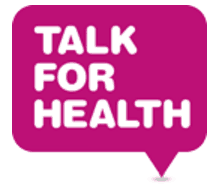 Unlike other mental health support offered in Shropshire DM is not time-limited. Members can stay until they are ready to move on. Members normally stay for 3-5 years. Typically, DM witnesses the transition of members only coming out of the house to come to DM, to doing their own shopping, meeting their children from school, joining other groups, volunteering, or going back to work. DM report 56 (42 female, 14 male) members engaged in the project in 2016/17. Most members are aged 35-64 (40), but members are welcomed from age 18. Five new members (aged 18-24) have recently joined this Summer (2017), increasing total membership to 61. Large scale commissions for example with Coverage Care and Baby Bird Café have provided members with opportunities to work collaboratively, to take on different roles, to communicate with partners, work to deadlines and a brief, work within a multi-partnership project and understand there is a variety of perspectives, facilitate workshops with the local community, make creative decisions in the design process, take responsibility, learn skills in mosaic and a variety of textiles, and explore design processes through watercolour, paper cutting, printing, and mark-making. 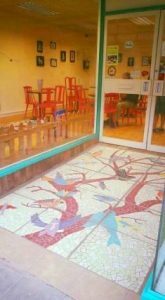 Members have created a 40m mosaic path, six ward signs, 20 felt wall hangings, a two square metre mosaic entrance way, and 30 Perspex birds. 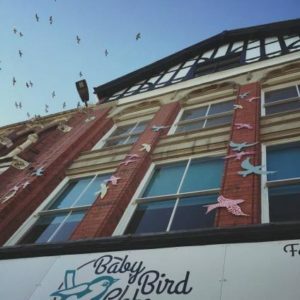 As these commissions are local, members walk past the Baby Bird artwork everyday and hear the positive comments. DM have also been commissioned by a growing number of businesses to make awards. 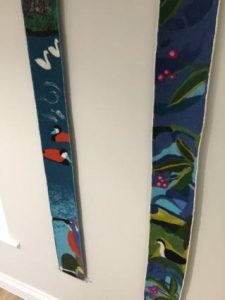 The high-profile nature of these commissions means that the work and stories of members are travelling further – the excitement in the studio is growing and everyone can visibly see the pride and value felt by those involved. 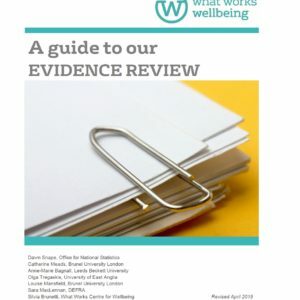 DM evaluate the impact of their work using a variety of methods, including the Warwick Edinburgh Mental Wellbeing Scale (WEMWBS), questionnaires, 1:1 interviews about changes and impact on life outside of Designs in Mind, and through three member days a year. These events provide an opportunity for members to discuss, reflect and develop ideas for Designs in Mind with no staff present. The making, the installation process, the launch events and the press/interest generated from producing and exhibiting high-quality art and design, has had a huge impact on feelings of connectedness, self-worth and recognition for creative excellence, whilst simultaneously challenging mental health stigma. 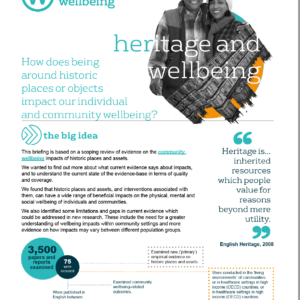 WEMWBS data shows 95% of members report increased wellbeing from participation at DM. The WEMWBS is a commonly used and easily understood wellbeing measurement tool. It uses a 14-question scale, each with 5 response options, summed to provide a final score ranging from 14 (very low wellbeing) – 70 (extremely positive wellbeing). DMs WEMWBS scores were: At baseline (Jan-March 2016): n=32, Mean=32. At time point 2 (Sep-Nov 2016): n=26, Mean=42. At time point 3 (Jan-March 2017): n=27, Mean=47. This means that over two years a mean increase of 15 was recorded. A second group (n=16) measured at time point 2 and 3 increased mean WEMWBS scores from 31 – 39. The results from the WEMWBS demonstrate a positive relationship between sustained DM membership and a greater sense of wellbeing. 1:1 interviews and member reviews reveal that 65% of members are more active in their local community because of attending Designs in Mind, whilst 100% of members report increased social network and a reduction in isolation. The gathered data shows that DM is having a positive and on-going impact on the wellbeing of its members. WEMWBS scores indicate a consistent and positive change over time, whilst member interviews show that creating art at DM can lead to increased self-respect, self-worth, self-esteem and self-identity; and can influence re-engagement with the wider social world. DM are currently in a period of transition: strengthening and developing the staff and volunteer team; responding to members needs and planning to open the studio on additional days. They have recently trialled opening a shop for 2 weeks and intend to make this a permanent fixture. The positive impact of this was clear during the trial period, with members taking on new responsibilities and building confidence by using and developing skills. The shop would make DM a very different opportunity in the future – opening the doors to everyone, and making sure ‘mental health’ becomes part of everyday life on the high street. It will take away the taboo and highlight that anyone can have mental health issues, and that mental health is a concern for all of us. It will make it easier for people to find help without judgment, stigma, or shame. Case study written by Jack Lane.